The other day, Debbie Hoult was rehearsing for a vocal concert. She’s a Westport native, but moved many years ago to England. During tea break, he mentioned that he and the Choir of New College Oxford University will be off to Westport, Connecticut at the end of the month. “That’s my home town!” Debbie said. It’s quite a coincidence. But there’s more. 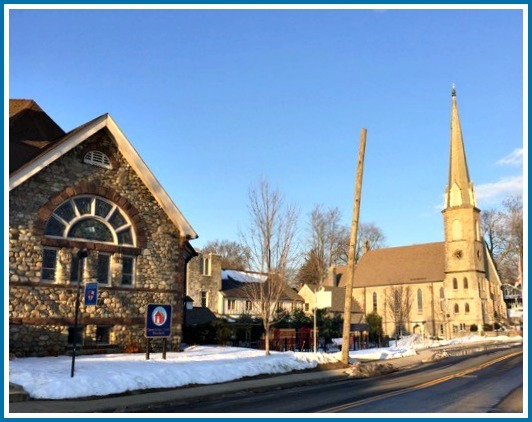 In Westport, the choir will sing — and James Brown will play the organ — at Christ & Holy Trinity Church. Which is the church that Debbie attended, all those years ago. It all made Debbie a little bit homesick. She won’t be at her old church on March 30. * But you shouldn’t miss it. The Oxford choir recently performed at the Sistine Chapel. *”Old” is a relative term. 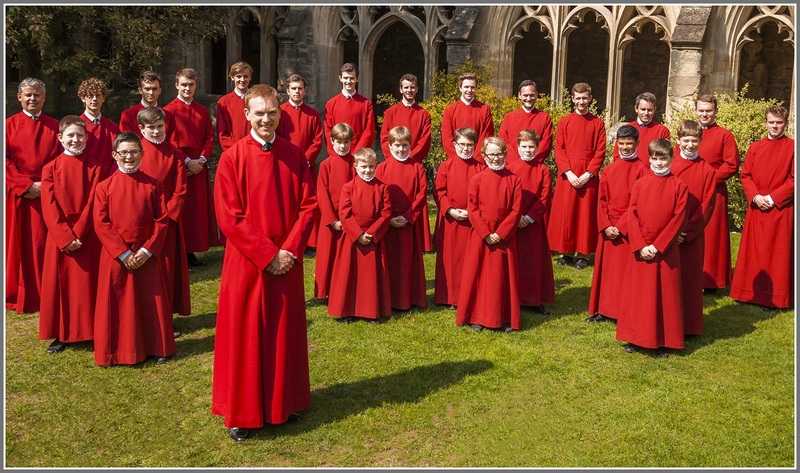 The New College Choir was founded in 1379. Need A Ride To The Community Thanksgiving Feast? Turkeys and trimmings? Decorations? Volunteers? Everything is set for this Thursday’s Community Thanksgiving Feast (Christ & Holy Trinity Church, 11 a.m. to 2 p.m.). But organizers want to make sure no one misses out. So they’re reminding anyone who would like to attend, but needs a ride: Please call! The number is 203-227-1261. 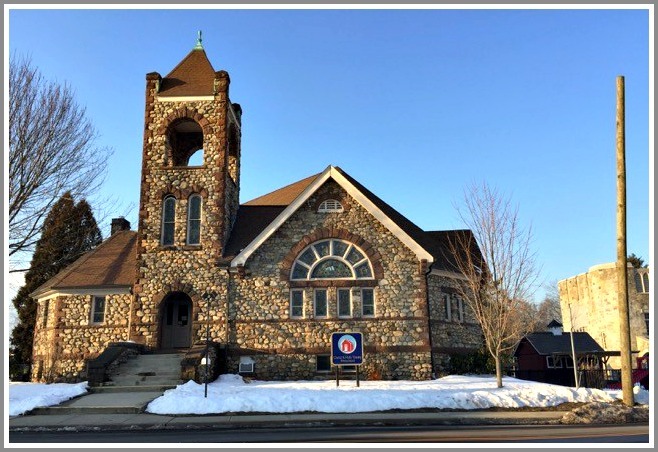 That’s Saugatuck Congregational Church — where the feast was held for many years. They’re happy to help match those needing rides with folks offering them. You can call until noon Wednesday. Volunteers are standing by! Nationally, the Episcopal Church has spent years working on racial justice issues. Locally, Christ and Holy Trinity Church is doing the same. Recently, parishioners read — and discussed — Debby Irving’s thought-provoking Waking Up White and Finding Myself in the Story of Race. But, he adds, some congregants felt dissatisfied. They were unsure how to move forward on thorny issues of race. 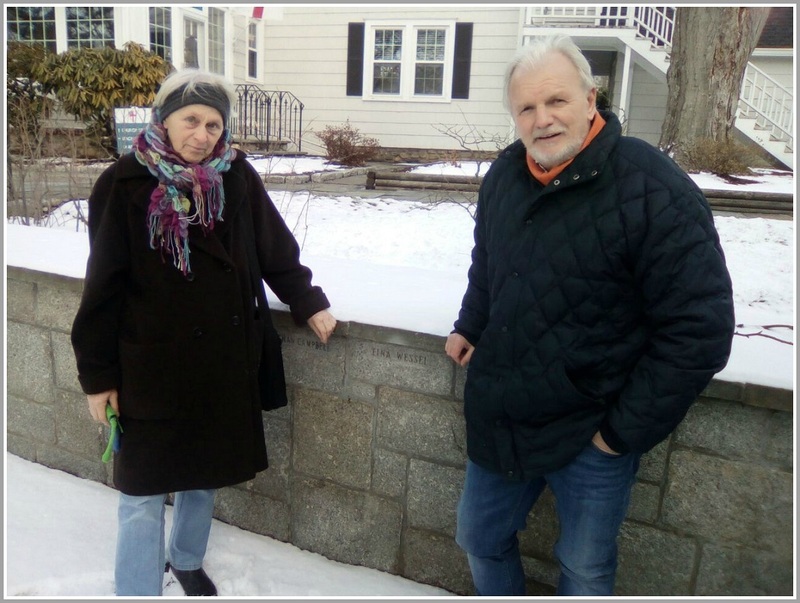 They — and anyone else in Westport who wants to come — will take a step in that direction this Sunday (March 18, 11 a.m.). CHT will show “Traces of the Trade,” a true story of producer/director Katrina Browne’s ancestors — the largest slave-trading family in American history. The documentary traces Browne and 9 cousins, as they work to understand the legacy of New England’s “hidden enterprise.” Family members are shaken by visits to Ghanaian slave forts and dungeons, and conversations with African Americans. After the film, Dain Perry — one of Browne’s cousins — will facilitate a conversation about race, reconciliation and healing. Perry — whose family are longtime Episcopalians — says the church shares responsibility for the slave trade. It condoned slavery, while the leading denomination in early America. “Systemic racism is so big and hard-wired,” Betit notes. He hopes for a “softening of the ground,” as people “take a deeper look, and broaden their circle of awareness” about issues like slavery. Frank Deford — one of the most famous (and elegant) sportswriters of all time — has died. He was 78, and lived in Key West and New York. But for many years, Deford was a Westporter. It was here that he wrote many of his 20 books, and some of the most important pieces in his 50-year career at Sports Illustrated. He spent 37 years as an NPR “Morning Edition” commentator, and recorded most of those stories just up the road, at WSHU’s Bridgeport studio. It was in Westport too that his daughter Alex was raised, went to Greens Farms Elementary School and died, of cystic fibrosis. She was just 8. 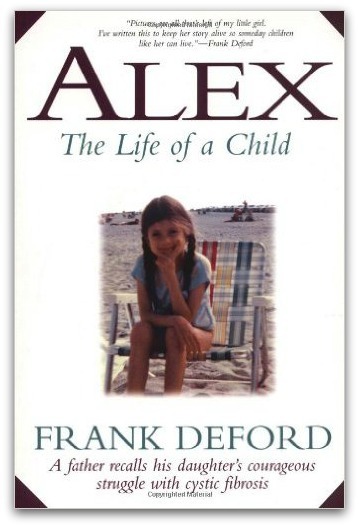 Deford turned that tragedy into a poignant book and movie, called “Alex: The Life of a Child.” He also served as national chair of the Cystic Fibrosis Foundation, from 1982 to 1999. 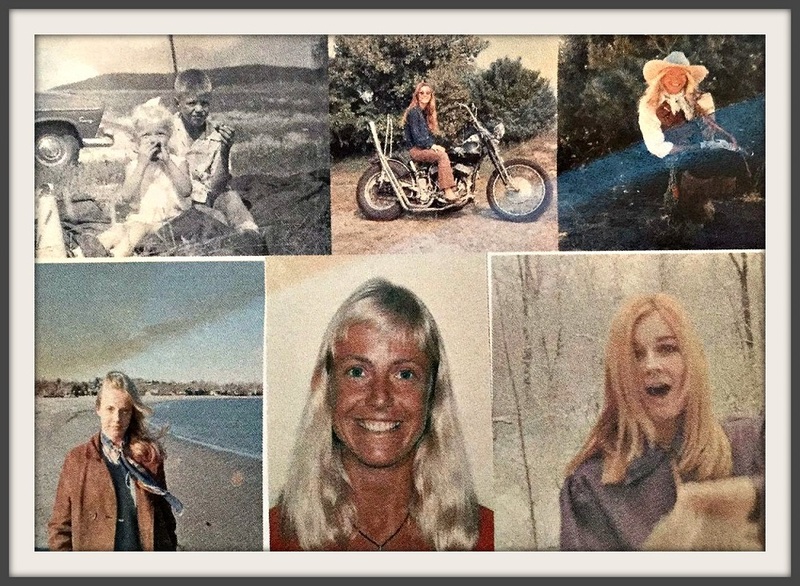 After Alex’s death, Deford and his wife Carol adopted a girl, Scarlet, from the Philippines. Their oldest child, Christian, graduated from Staples High School. Deford won countless honors. He was most proud of the National Humanities Medal, awarded in 2013 by President Obama. 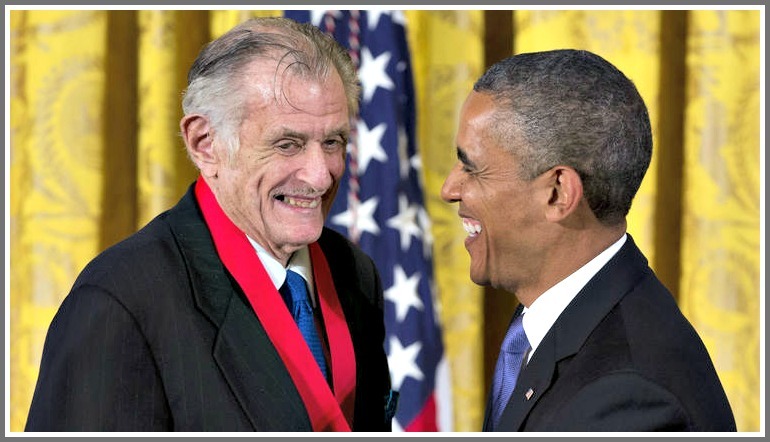 In 2013, President Obama awarded Frank Deford the National Humanities Medal. He was the 1st sportswriter to earn that honor. But he was also a local presence. He spoke at the Westport Library, and was a reader — in that voice familiar to so many NPR listeners — at Christ & Holy Trinity Episcopal Church. Deford had a remarkable career. But though he hit plenty of grand slams, he wouldn’t be human if he never struck out. In 1990, he was editor-in-chief of a new launch, The National: America’s 1st-ever daily sports newspaper. It folded after 18 months. One of its many obstacles was distribution. Deford even had to cancel his own home delivery when not enough Greens Farms neighbors signed up. The paper — and he — covered every sport imaginable. Including soccer. Which — as every NPR listener knew — he hated. A few months after The National began, I asked him — only half-jokingly — why he got to cover the World Cup in Italy, instead of a true soccer aficionado like me. Deford was very tall. He looked down at me, both physically and journalistically. He gave me a semi-smile. 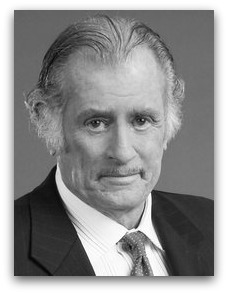 Frank Deford covered it all, in a storied and story-filled life. His many fans — and his former neighbors — will miss him greatly. Yesterday, “06880” posted Jennifer Johnson’s gorgeous photo of Bedford Square. 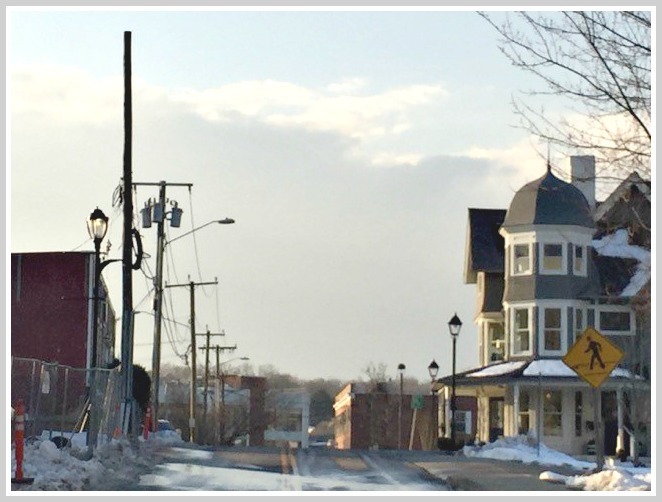 Sitting outside SoNo bakery, an alert “06880” reader noticed how lovely Seabury Center — across from the new construction — looked in the afternoon light. But as she peered closer, she saw what she believes is a new utility pole. Suddenly, she wondered: Will this lovely scene soon become a jumble of overhead power and cable lines? Last summer, she thought that all the work on Church Lane meant that utility wires would be buried underground. 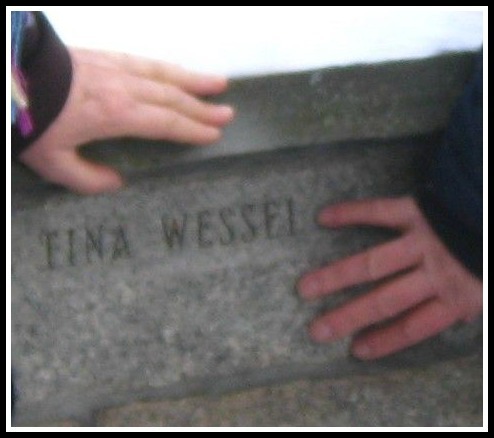 The time for the funeral service for Tina Wessen — the well-known local homeless woman who died recently — has been changed, to accommodate arrivals from out of town. The new time is 2 p.m., on Friday, December 9. 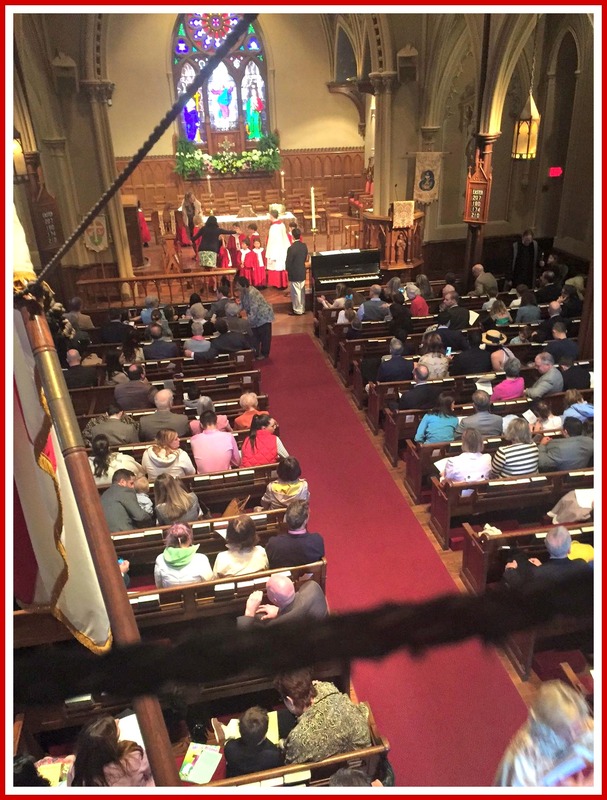 The site is Christ & Holy Trinity Episcopal Church, in downtown Westport. 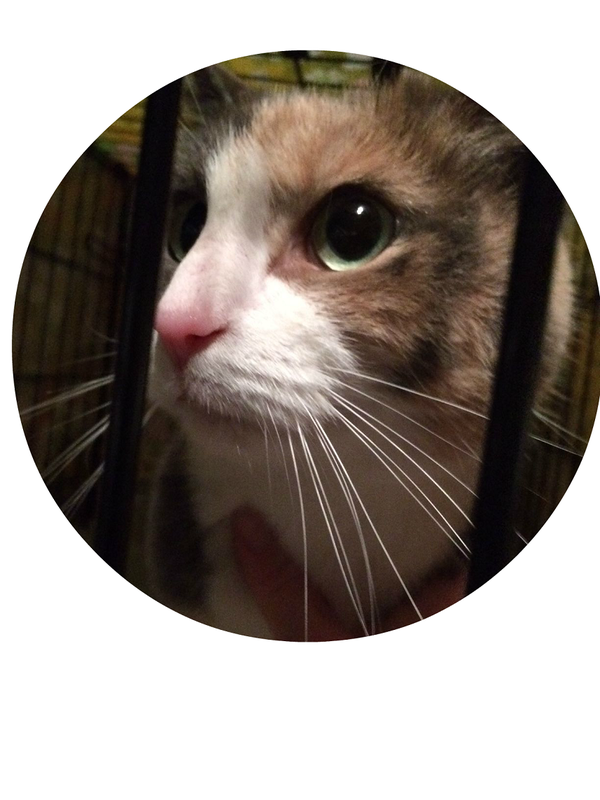 The cat is now safe and sound. It was repeated at churches all over Westport — and at a sunrise service at Compo Beach.